yesterday (or a few weeks ago), we took a trip to williamsburg, brooklyn (aka the most hipster-y hipster place that i know in all of new york). if i could live anywhere else in the city, it would be here. first, we headed to breakfast; to a spot you’ve most likely have already spotted on this blog. its name: reynard , [and to this day, it’s my (second) favorite brunch spot]. its location: the wythe hotel on none other than wythe street on the outskirts of williamsburg. any place with a choice of steel cut oatmeal for brunch is bumped up to the top of my favorites list. it just so happened that reynard is one of them, and i got just that. 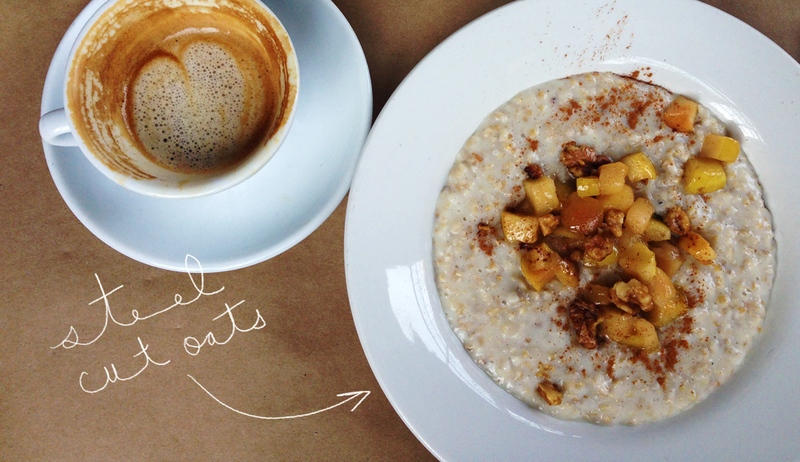 mmmm, creamy steel cut oatmeal with sautéed apples and cinnamon. even though we could easily make this at home, it was completely worth every penny. i think i will be coming here again, to explore new places. until then, stay tuned.